An easy way to increase your amount of roughage you consume throughout the day is to opt for healthy high-fiber snacks. 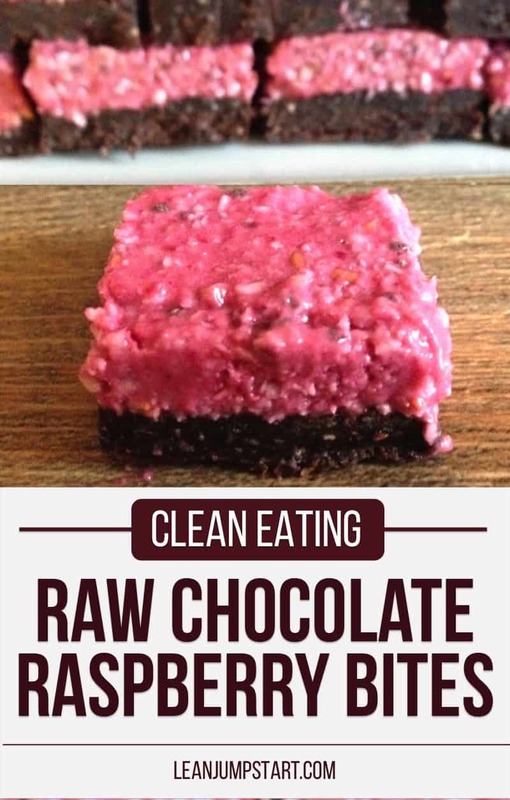 I’ve put together for you a list of my top 11 clean eating snacks that are super yummy, rich in “ballast” and still keep you in shape (provided, they are eaten in moderation). Maybe you already know that you can reduce the risk of heart disease with a high fiber diet. But there is more! Did you know that organisms living in the intestines are changing the expression of our DNA code from moment to moment? In fact, we are eating for 100 trillion bacteria. In that context ballast rich foods not only give your digestion regularity but also feed and power your gut microbiome. The good news is that the more plant-based snacks based you eat the more healthy microbes your intestine creates. This motivates your taste buds to prefer even more wholesome foods in the future. On the other hand the more often you grab for e.g. sugary snacks the more “sugar digesting” intestinal microbes your body produces. This results in a craving and preference for sweets. The bottom line: You and your gut bacteria really mirror what you eat! I’ll start the snacks list with plain foods, that don’t need any recipe. 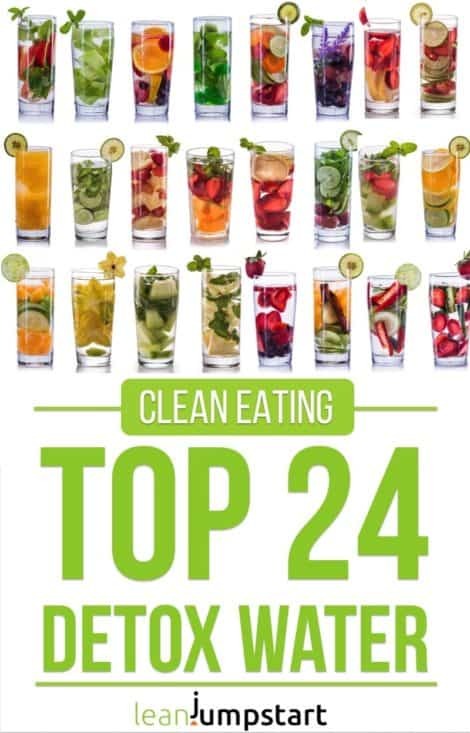 At the end of the list (Top 7-11), I’ll also add some clean eating recipes for those of you who love to experiment with energy bites and fiber bars. 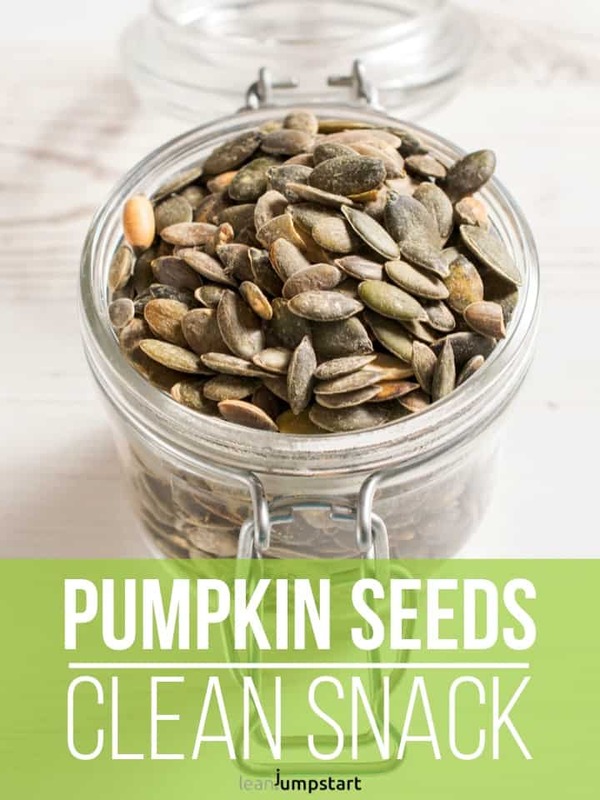 If you don’t store pumpkin seeds at home yet, then you are missing a potent and simple snacking opportunity. With 18.4 grams of fiber per 100 grams of seeds, the numbers speak for themselves. On top of that, they are super flexible. I bake them in my whole grain bread, add them to my muesli, sprinkle them over salads or snack a tablespoon of pumpkin seeds in between when our nut stock is depleted. An alternative option packed with fiber are sunflower seeds. 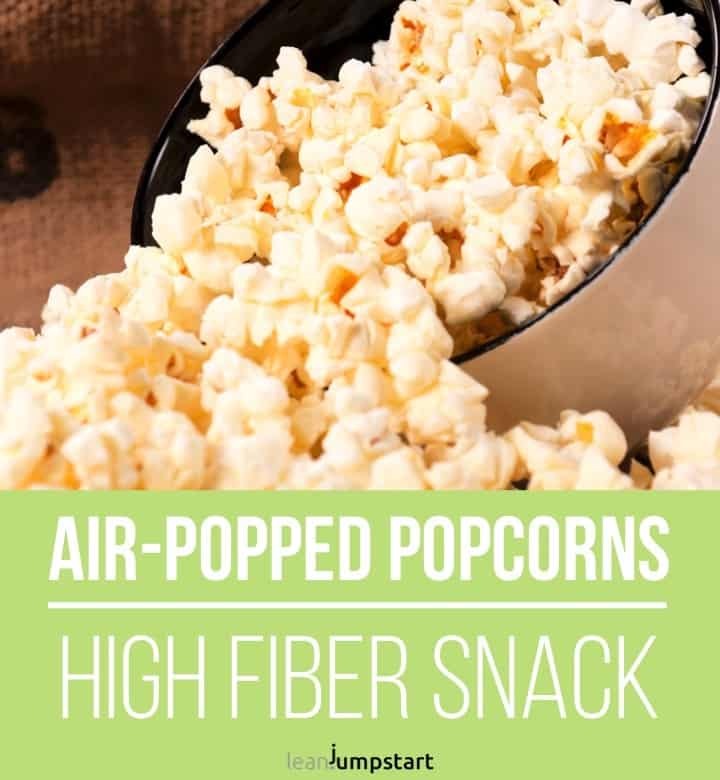 Air-popped, unsalted popcorn is another wholesome snack idea. Can you imagine that 100 grams of air-popped popcorns contain a whopping 15,4 grams of dietary roughage? For a healthy, wholegrain snack it’s important to stick to unsalted, air-popped popcorn fiber that is ideally organic and also non-GMO. Most of you know nuts as protein-rich, healthy fiber snacks on the go. A maximum of the desired substance you get when you opt for almonds – with 12.5 grams per 100 grams of nuts. It is no coincidence that I have always a snack box of almonds in my handbag. An easy way to increase your roughage intake is to spoon some passion fruits from time to time. For many years I was neglecting the at least from the outside “ugly” passion fruits offered at Aldi. 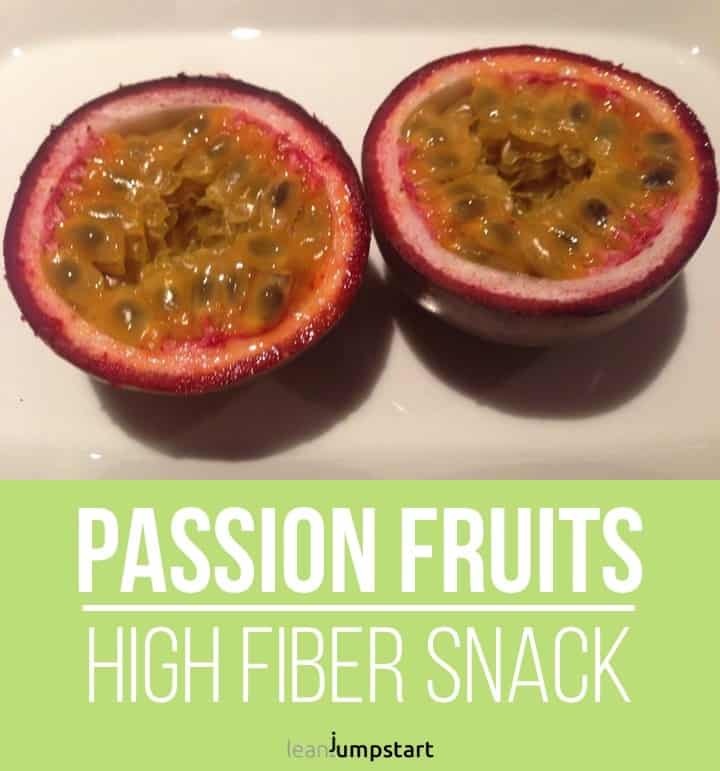 Things changed when I recently researched and learned that passion fruits are ranking number 1 in the list of high fiber fruits, beating even dried figs or prunes with the highest dietary fiber content of around 10%. Let alone all other nutrients. Nowadays I spoon these exotic fruits frequently as light and nutritious breakfast if I can get them at a reasonable price. 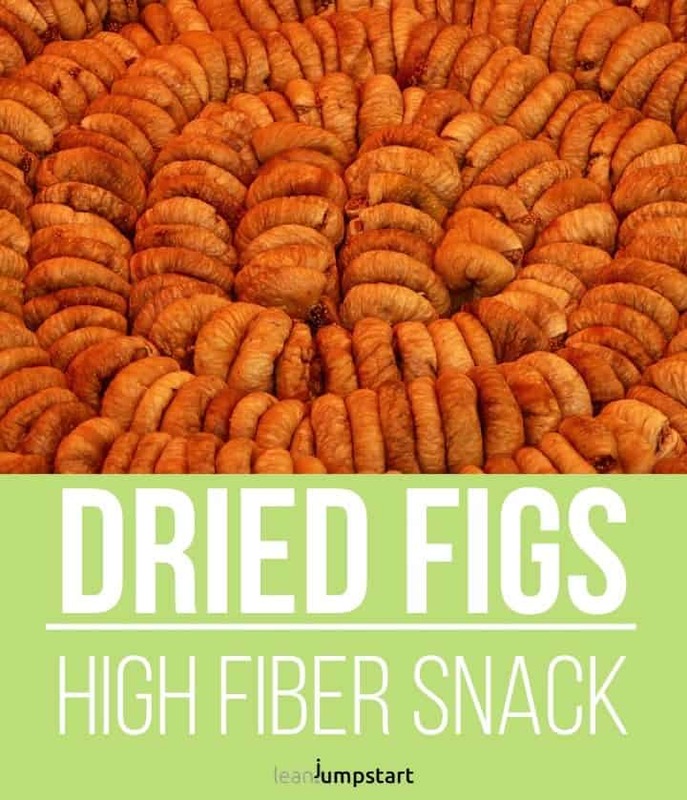 Not only in sports, but dried figs are also welcome as energy-rich and good source of fiber. They are easy to cut and also delicious ingredients when baking cakes or bread, or when cooking lentil dishes. Dried figs can also be processed into chutneys or energy balls. On top of that figs contain little acidity and are a blessing for the digestive system. Their numerous small seeds provide the bowels with many healthy dietary fibers. That’ s why figs can also be used against constipation. In that case, simply cover some dried fruits with water in the evening, leave them to stand overnight and consume them sober in the morning together with the soaking water. Many people overlook avocados as high fiber foods. With 6.7 grams per 100 grams of snack, it is a very tasty source of this precious nutrient. The roughage along with the good fats contained in it are the reason we are so full after eating an avocado, and we do not get hungry again so quickly. As you can imagine I’m always on the hunt for healthy, clean eating snacks. Energy balls are a great and filling snack idea for weight management. Here I present my very first energy balls, I’ve ever made. They contain two fruits high in roughage (prunes and dried apples), which I usually combine with almonds. They are also perfect good fiber snacks for a long vacation or business trip to support colon health. 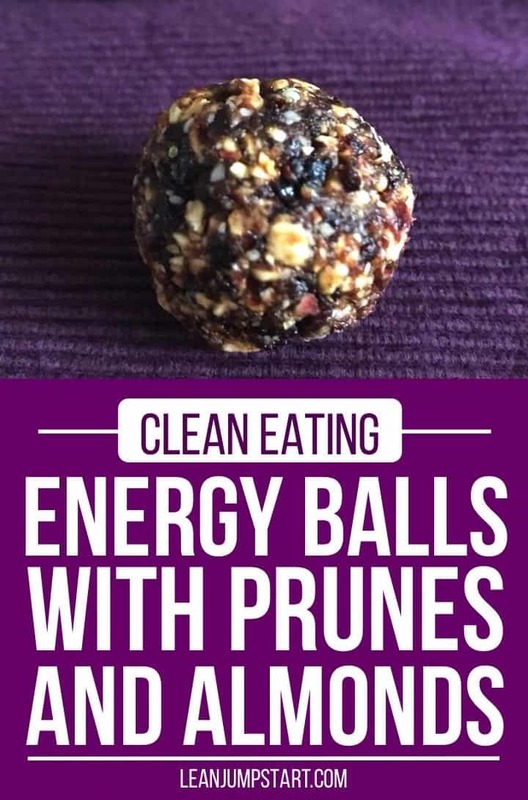 Frankly spoken, my daughter and I, we love them – my hubby, however, is not too fond of them… If you still want to try them, click through to the recipe: energy balls recipe with prunes! As mentioned above, my first energy balls try with prunes was not my hubby’s taste but with these peanut butter balls, he can’t get enough. 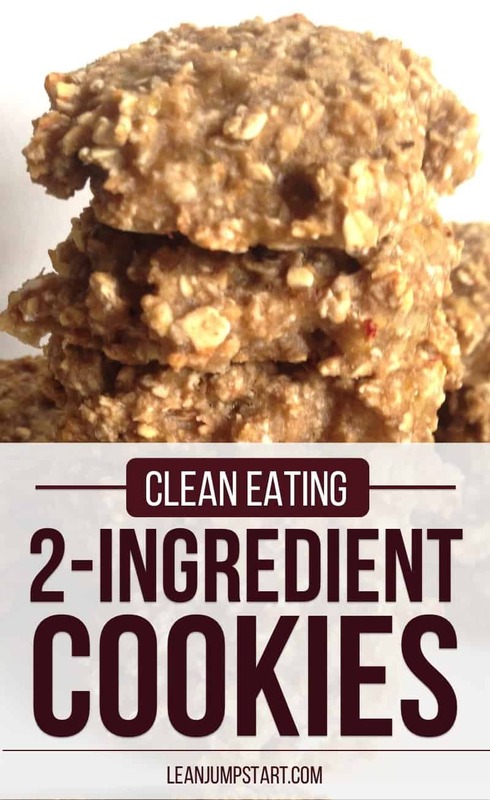 With clean peanut butter, dark chocolate, flax seeds, rolled oats and a bit of honey they are much healthier than his beloved “Snickers” and yet they come close to their taste and crunchiness. We graze these irresistible snacks on the go straight from the freezer. But hey, if you are watching your weight please don’t go overboard. 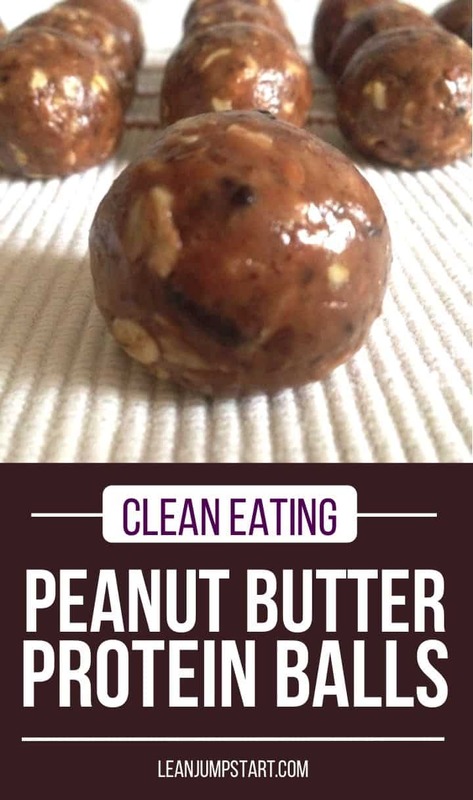 Click here for the peanut butter protein balls recipe. You can get even more inspirations by checking my top 12 no-bake energy balls on the web. 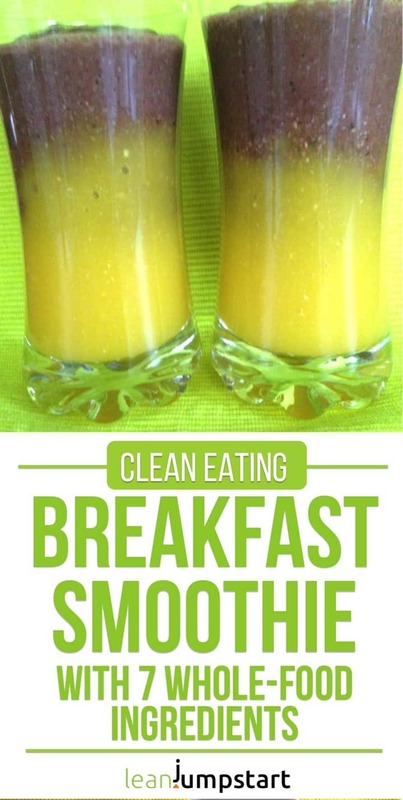 Creating high fiber drinks is super easy by adding flax seeds to any smoothie or 100% fruit juice you prefer. Chia seeds work too, but make sure to drink your smoothie immediately, once chia starts to soak the mixture will get too thick to drink. If you need to replenish a lot of energy I highly recommend my breakfast smoothie with 7 whole foods ingredients. It can easily replace a muesli and keeps you full for many hours. The great thing about it is, that you can store the bites in the freezer. As filling as they are, my cravings for sweets are satisfied after 1-2 bites. Is weight loss an important goal for you? Then nibbling vegetables in between could help you get the amount of fiber you need per day without significant calories. Click through for the Top 30 high fiber vegetables! Not enough ideas for the best fiber snacks yet? “The Greatist” has put together a Top 31 list that takes your healthy snacking to the next level. Click here to learn more. And remember the next time you are dreaming of a zero-fiber fast food snack… Think twice, check this list and when in doubt remember, every bite of something comes with an opportunity cost. Gabi, these recipes look great! It’s awesome to see so many delicious recipes in one place. Thank you Alyssa! I’m glad that you like my collection. Please make sure to try some of them as soon as possible! Love this list. I eat pumpkin seeds and avocados almost everyday. It’s kind of ridiculous, lol, but I just love them so much. Thanks for sharing! You’re very welcome Monique. Your healthy snacking habits don’t surprise me and probably you are eating quite a few foods on those lists on a regular basis. Many plant based foods that vegans eat, are fiber rich by nature. When you are eating whole food plant strong, you even don’t have to think about where to get your fibre from. What I didn’t know for a long time is that you won’t find any fiber in animal based products like meat or dairy. I enjoy many of these specially the figs and the popcorn not to mention the almonds so good and healthy. We all need fiber in our lives. Wow! Pinning this! I love to snack and I try to eat healthy, so I plan on trying almost every one of these!! 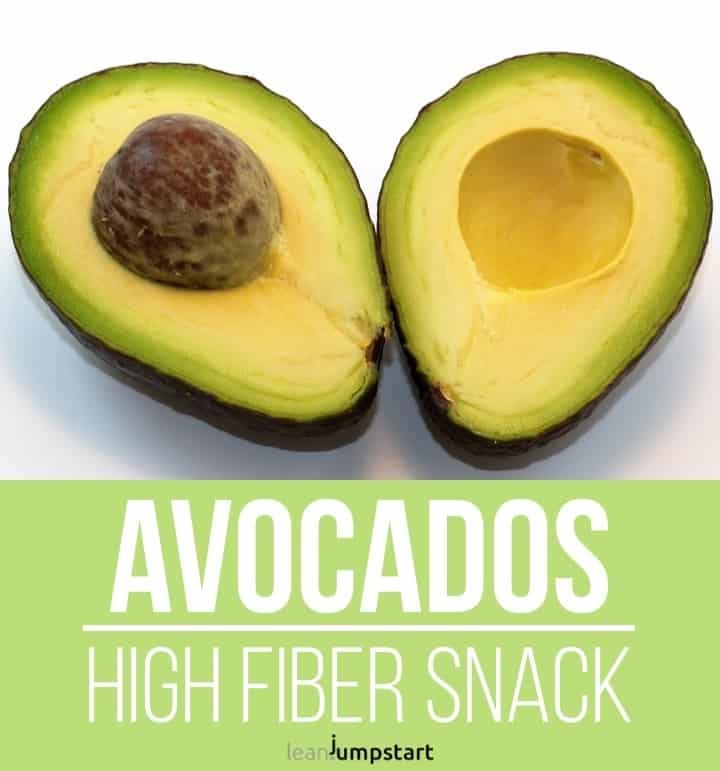 I had no idea avocados were high in fiber! Thank you for pinning, Pam. When I did the research I was also surprised how high in fiber avocados are. So besides of their healthy fats we have another reason to include them more often in our nutrition. I love high-fiber snacks and appreciate your list. Those peanut butter balls and raspberry-chocolate bites are calling my name! Haha, they are calling my name too, Andrea, especially the peanut butter balls I can highly recommend. So easy to prepare and yet so flavorful and healthy. You are very welcome Joyce. Yes, with the right choice of healthy, fiber rich snacks, you can even replace a proper lunch and it will keep you filled until dinner. Great snacks! Thanks for sharing! Pumpkin seeds and avocados are basically the fuel that keeps me going most weekdays. This is a great roundup of recipes and easy snacks that will come in handy! I love the sound of these. I really need to add more fibre to my diet. thank you. Just use the list as little inspiration, choose your favorites and you will increase your fiber intake in no time. you are welcome:) Most of those snacks are so convenient that you can have them always at hand. 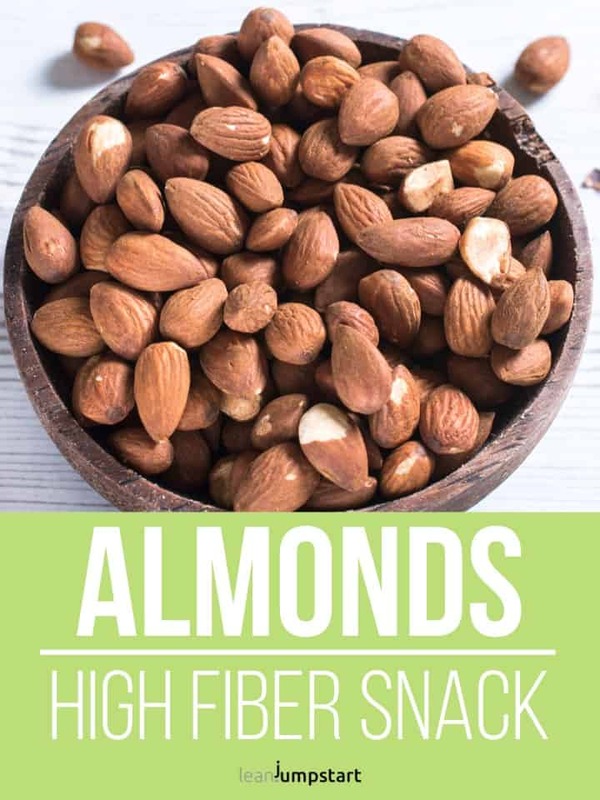 I’m always on the hunt for high fiber snacks so this roundup was AWESOME! Thanks so much!! Thank you Chris, I’m glad that my high fiber snack list could inspire you.